The Internet of Things – a network of of physical devices that are connected digitally – can translate physical properties into digital data, which can be sent anywhere in the world, and processed at light speed. In the next five years, 20 billion devices are expected to be connected to the Internet of Things, revolutionising business models and marketing strategies and impacting businesses globally. Real-time marketing is already growing, as companies aim to provide individualised customer experiences. The Internet of Things makes it possible to design products that can inform all aspects of your business in real time. Customer feedback can be generated from the products themselves; thereby measuring the success of marketing strategies and providing valuable insights for product development and design. The Array of Things recently received a grant from the US National Science Foundation and will be providing real-time data from the streets of Chicago. This data will be captured, block-by-block, by sensors which measure light, sound and air quality among other things. The data will be made available to the public at no cost. 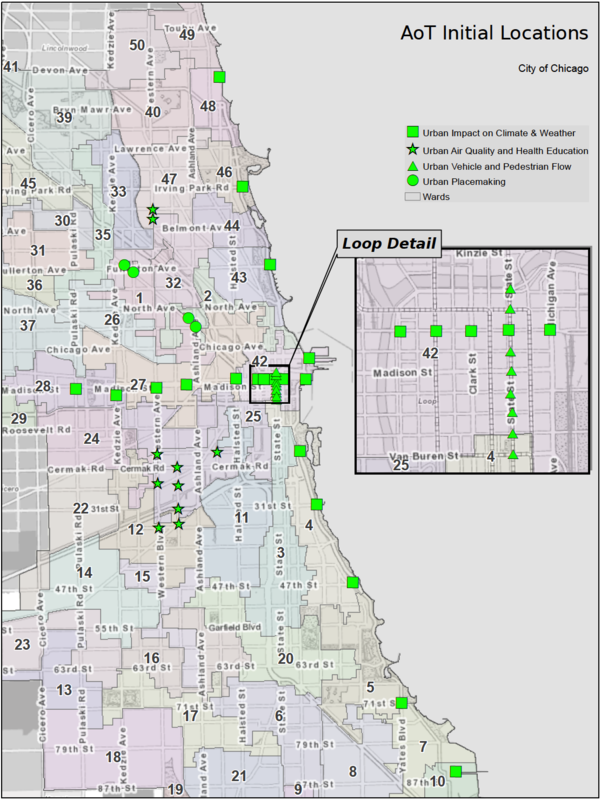 There is a map that shows the location of 42 nodes which will be installed through the city, beginning in Summer 2016. A total of 500 AoT nodes will be installed in Chicago by 2018. There is no shortage of live data these days. For example, this blockchain feed provides detailed information on all bitcoin transactions. This Meetup RSVP Ticker literally tells you who will be having cheeky drinks, learning Japanese or taking part in zen meditation tomorrow. The challenge for governments is ensuring data is clean and there is a common standard for processing it. This is an issue the US President’s Council of Advisers on Science and Technology is considering. For many years, scientists have been mining server logs and the textual content of web pages, facilitating better web personalisation and predicting users' future requests. In this context, what people are searching for is predictive of what they will do in the future. Unlike other data sources, machines – i.e. connected devices within the Internet of Things – can be programmed to produce clean and consistent real-time data feeds. That’s data that scientists and others can use to predict the future, going beyond correlation and contemporaneous events.